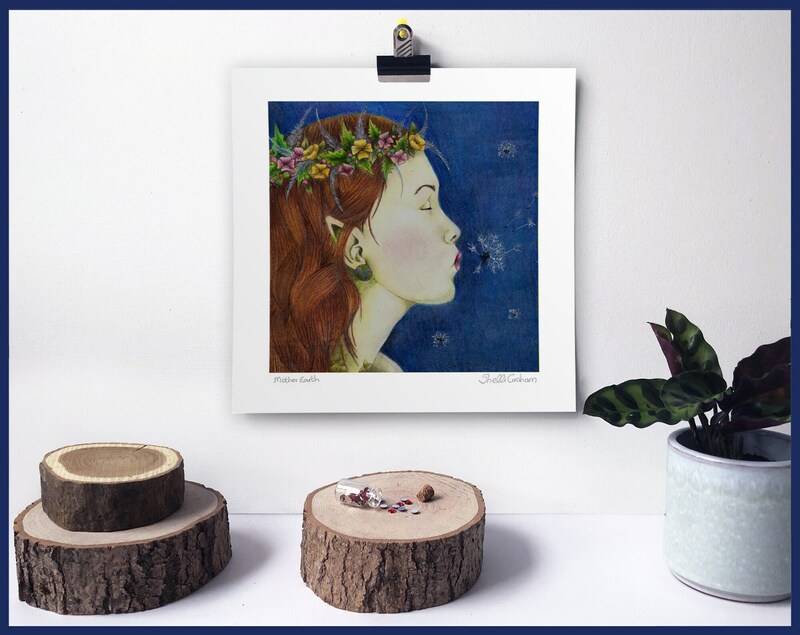 Mother Earth was inspired by the stories of Mother Nature who is a goddess who watches over all life on the planet, she is a powerful and nurturing spirit.The original illustration was created using pencil crayons, graphite, water colour crayons, white acrylic and ink. 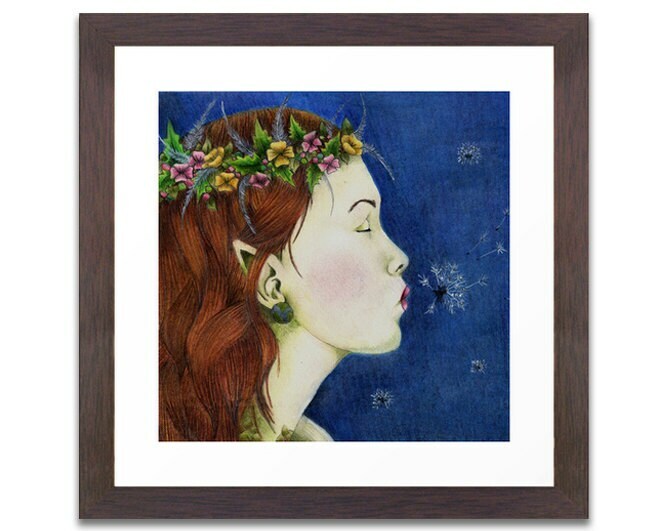 The image measures 20cm x 20cm with enough white space around the edges for framing - the total packaged size with the white boarder is 10"x10" so it will fit a number of pre-made frames. Each print is signed and titled in pencil.